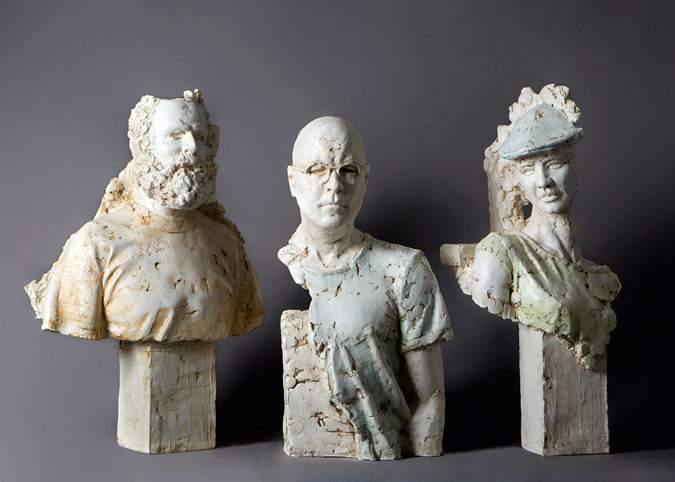 Starting Thursday, January 5th and running weekends through January 22nd, “#solidfriends,” a figurative sculptural exhibit created by Austin artist Dana Younger, will be displayed at the Dimension Gallery in East Austin. This solo show explores the depth and nature of relationships in the digital age. Through process, form and a level of completeness, Younger’s 30 sculptures (processed both by hand and digitally using photogrammetry) play on the superficial or fleeting nature of some modern friendships in contrast to the more complex, longer-lasting terms of others. An opening reception complete with artist appearance is scheduled at the Dimension Gallery from 6:00 to 8:00 p.m. on Thursday, January 5th. Special projection visuals will be screened on this day only, and beverages will be provided. This event is free and open to the public. Additional show dates include: Saturdays and Sundays, January 7, 8, 14, 15, 21, 22, from 11:00 a.m. to 6:00 p.m.
“#solidfriends” deals with the themes of immediate, ephemeral connections, such as selfies and those we generate or experience on social media platforms like Facebook and Instagram, versus other, more in-depth friendships curated over a long period of time. “The sculptures serve as proxy for contemporary relationships with friends, juxtaposing physical with digital moments that add up in layer,” says Younger. Throughout the body of work, the art becomes increasingly complex, reflecting connections that have formed more solid foundations in comparison to those that are less enhanced. The show hosts small, medium and life-size art. A pile of smaller squares—bas reliefs created in a fast, loose, imperfect manner in an hour or less each—represent Facebook profile pictures and less complex, more superficial of relationships. Contrast to these are Younger’s carefully rendered life-size pieces crafted in greater detail, with extra time given to fabrication to represent more developed, and thus, more dimensional friendships. Adding an interactive layer to the experience, guests can opt to be scanned while visiting the exhibit and become part of the artwork of this portrait-based collection. Dana Younger is a process fanatic. 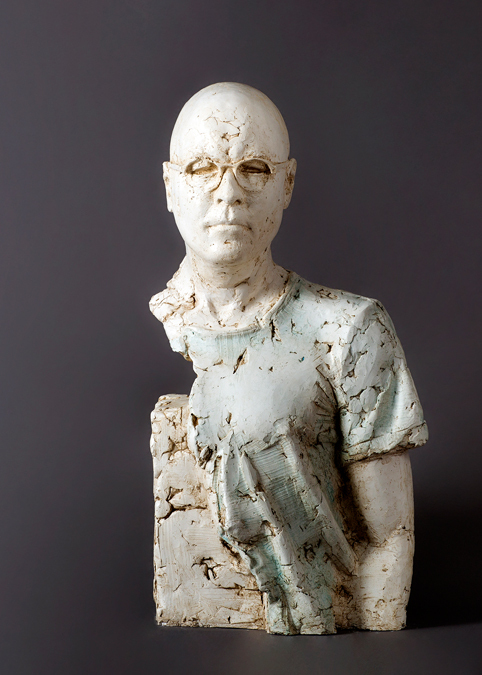 He uses a wide variety of sculptural mediums to call attention to cultural heritage that warrants reexamination. Humor, beauty and biting commentary combine in his work and invite the viewer to take another look.